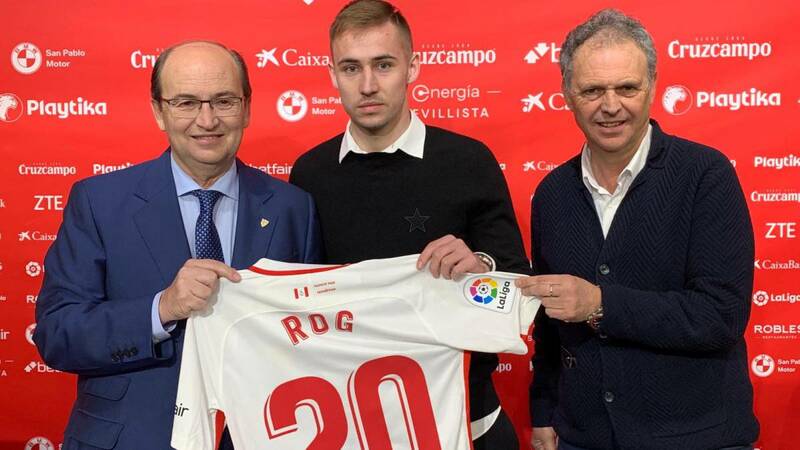 Home Soccer Marko Rog: "Sevilla is the best decision, I can play now"
Marko Rog: "Sevilla is the best decision, I can play now"
The Croatian was presented as the third reinforcement of Sevilla this winter. Caparrós closes the template: "There are 24 top players". Marko Rog was presented as a new player of Sevilla and did not hesitate to highlight his feelings after signing this morning his cession as nerionense until the end of the season: "There was interest from other clubs, but I think it is the best decision for me. give me the opportunity to play, Fabián, there are three Spanish players in Naples and I also spoke with Rakitic, they all supported me and believe that it is the best decision. " On his options to play against Barcelona:" I feel good and I will respect the decision of the coach, I just arrived, if he thinks I can help the team, I can play now. " He also had words about Davor Suker and his successes at Nervión:" I know he did a lot in this club, but I did not talk to him. he on my arrival here, type of game, I've played as a half-center throughout my career, it's where I feel best. " Caparrós:" We can close the template "
Joaquín Caparrós, football director of Sevilla, also left words about the role of Sevilla in this market: "Rog gives us an extra plus for the squad. I personally spoke with him before coming, he told us he wanted to come to a club like Sevilla. He is a boy who can adapt perfectly to the system. He is a player who arrives. We have three competitions and we are very demanding. It will contribute a lot ". Look at the desire of a compra option:" It is true that there is not, but the footballer has renewed and there is a preferential situation for us. It is our profile. We have achieved three players with a lot of projection, with present and future. They come from Ajax, Barcelona and Napoli. We have 24 top players. Nobody has such a balanced template. " On more signings:" In principle the template can be closed. Although in soccer, things go from white to black in minutes. It is unpredictable, but we are very happy with our staff. Then the competition will tell us how far we can go. " José Castro, president of Sevilla, spoke about the previous one against Barcelona:" We are talking about a great team, but we are going with great optimism and great strength. Hopefully the advantage we have is enough. "Caparrós warns:" I think Messi will play. But it is important that we also see the great team that we have. Barcelona is aware that there will be a top team in front of them. I am optimistic because I see the face of our players and the atmosphere. "On the final, Castro was clear:" The only thing we think about is going through the tie against Barcelona ".